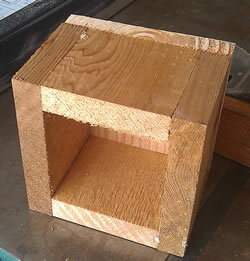 Mounting Sleeve - Enables mountingg on 4" x 4" post. More Information Ant Guard - Locate between feeder and hook. 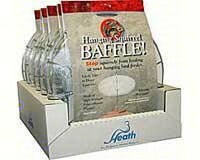 More Information Hanging Squirrel Baffle - A solution that really works. Flange Mount Squirrel Baffle - A solution that really works. More Information Light Duty Pole - Perfect for buterfly houses and smaller bird feeders. Pipe Flange - Allows you to mount your house/feeder to a 1 - 1/4" pipe. More Information Window Hook - Allows you to mount your feeder to a window. More Information Hummingbird Feed Mix - Easy way to mix up nectar for your hummingbirds. Cleaner Mop - Makes cleaning feeders quick and easy. More Information Nectar Packet - 5.3oz Hummingbird Nectar Packet. More Information Feeder Hook - Lets you hang bird feeders and houses. 22 Inch Hook - Lets you hang bird feeders and houses. 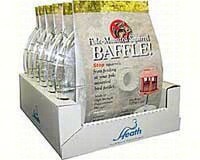 More Information 12 Inch Hook - Lets you hang bird feeders and houses..
More Information Squirrel Baffel - Helps to keep squirrels away from feeders. Seed Scoop - Quick Fill Seed Scoop.